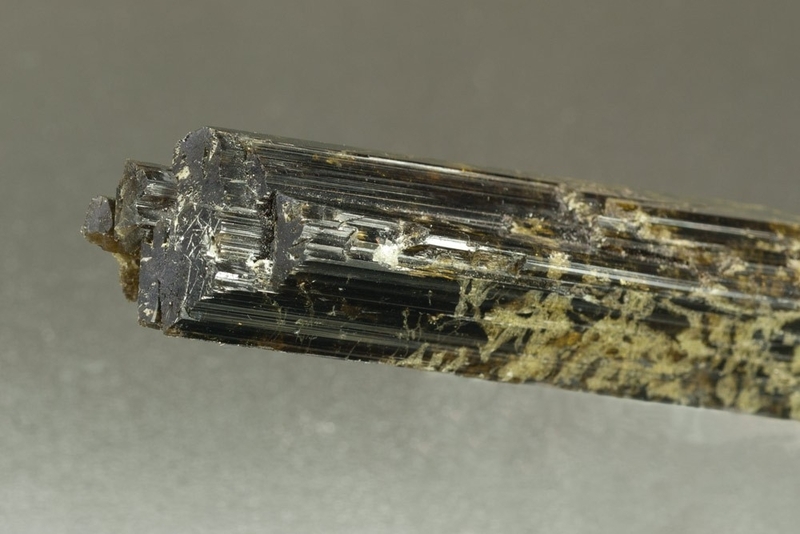 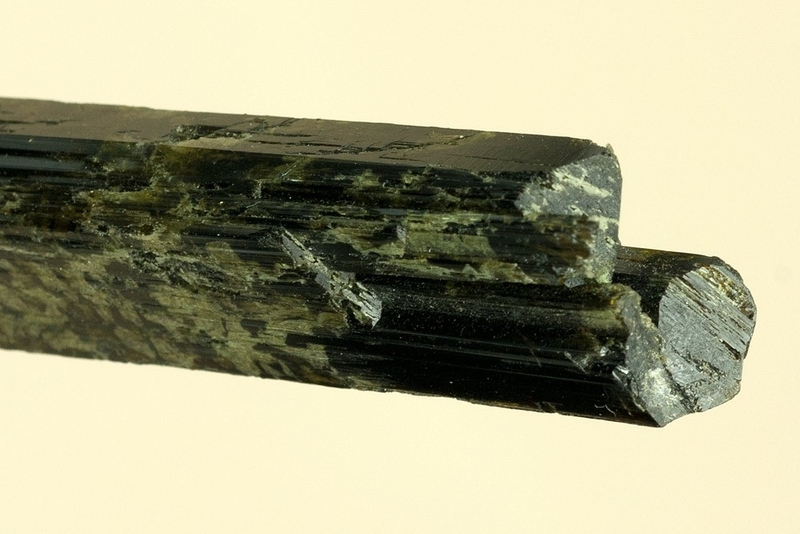 An exceptionally large double terminated epidote floater crystal from Alchuri with no visible contact points. 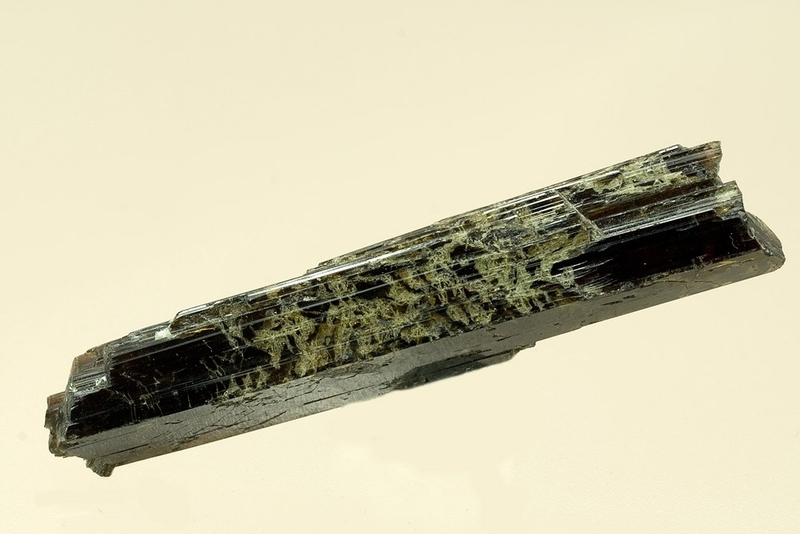 It is over 9cms (3.5Inches) long and 1cm wide yet it has a dark root-beer coloured transparency when back lit. 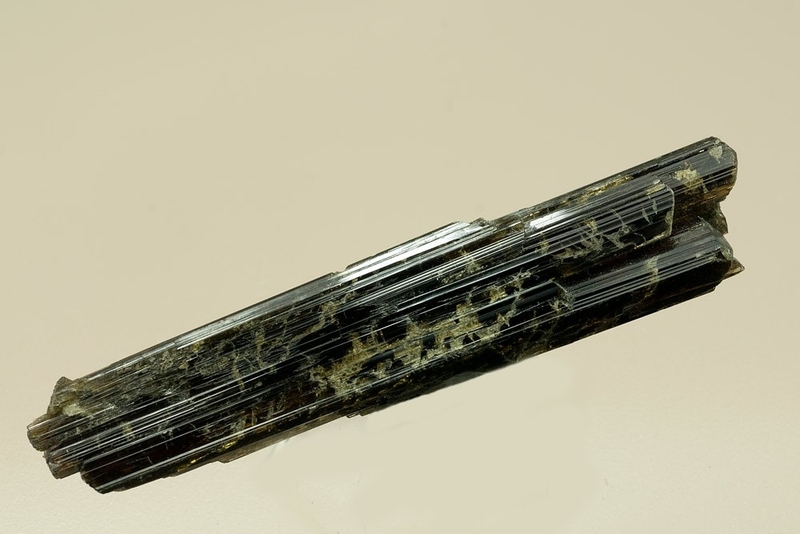 All side faces show a sparkling lustre emphasised by the striations.